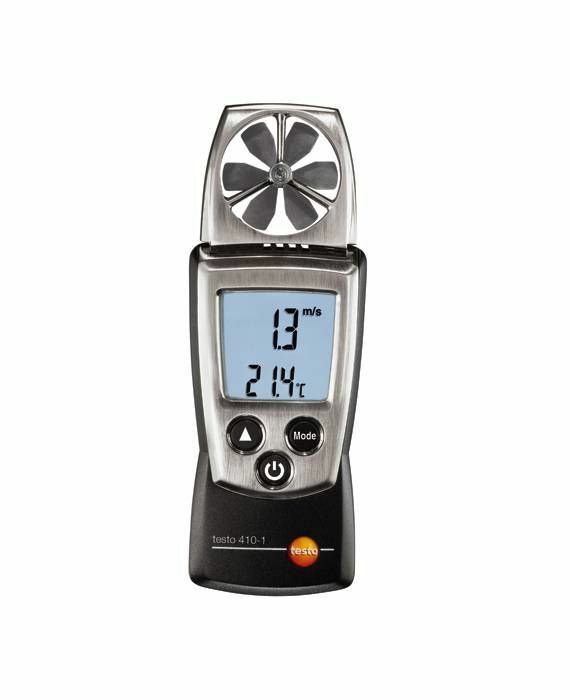 The testo 410-1 vane anemometer measures air velocity and air temperature. 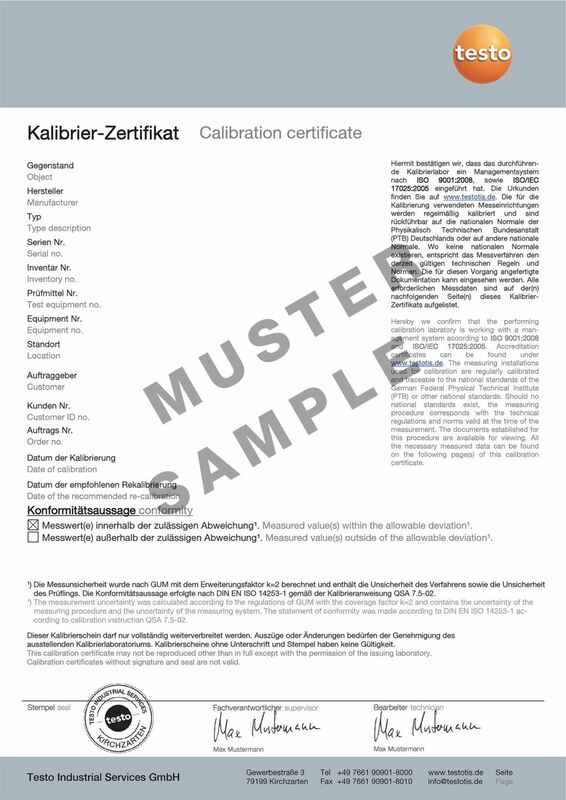 You can use it to carry out quick spot measurements at ventilation grilles (air outlets). The anemometer is also ideal to use outdoors. It displays the units m/s, km/h, fpm, mph and kts, and also calculates wind chill and the Beaufort wind force. The testo 410-1 vane anemometer is impressive thanks to its practical pocket size and is ideal for fast check measurements. With a measuring range of 0.4 to 20 m/s, the anemometer can even be used for low flow speeds. The anemometer has a permanently mounted vane with a diameter of 40 mm. You can therefore use it for the integral measurement of air velocity at ventilation grilles (air outlets). The anemometer is practical for outdoor operation: It not only measures air velocity and air temperature, but also calculates the Beaufort wind force and the wind chill temperature, which is the temperature perceived by a person due to wind-related cooling.